Slowly but surely, ray by ray, the evenings are getting lighter once again! 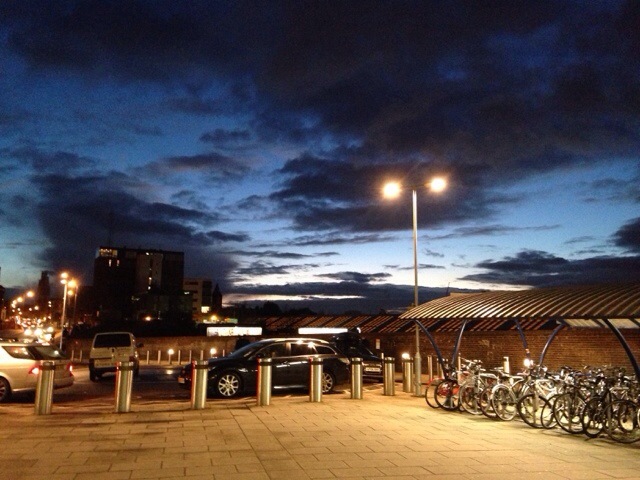 Took this as I left Clapham Junction around 6pm, beautiful sky. Took my bike to get fixed today, hoping to get it back on Thursday. Then met up with the lovely Claire for wine, popcorn and gore movie night! Lovely day.